Before taking out a payday loan, it is important to understand exactly what the process entails and to know all regulations regarding them in your state. Not every state, for example, is a payday loan state at all, meaning paycheck advances are either prohibited altogether or are simply unfeasible because of state law. Payday lenders have become notorious for charging astronomical interest rates and for aggressive collection practices. These pressures have driven many borrowers to debt, which in turn has bred heated lobbying against the industry and influenced legislation prohibiting high-cost payday lending in its most common form in many states. In those states, if it is not explicitly deemed illegal by law, it is made practically impossible by means of strict usury laws that cap the cost of credit at a certain nominal annual percentage rate (APR) set down by the state government. The majority of states still allows and regulates payday lending, but over a quarter of states do not. Although payday lending has become a multibillion-dollar industry in the United States, it is illegal to make or take out a payday loan in Georgia, for instance. Georgia has a long history of legislation banning high-cost payday cash advances, beginning with the Georgia Industrial Loan Act ("GILA") of 1955, which requires state registration and licensing and imposed very strict usury limits on small short-term loans. Under the statute, unlicensed lenders are limited to charging an eight-percent interest rate on consumer loans of $3,000 or less. This essentially made Georgia payday loans illegal, even though the state was largely unsuccessful in dismantling the industry until the Georgia General Assembly passed the Payday Lending Act of 2004. This new set of provisions under the GILA dramatically increased fines and criminal penalties for Georgia cash advance lenders making small loans at illegally high interest rates. Under the law, violators may face felony and racketeering charges, fines of up to $25,000 per violation, and a 25-year prison sentence. Because of the legislation outlawing them, payday loans in Georgia are not a feasible way to obtain quick cash at a time of need. If you are in need of a cash advance in Georgia, there are several alternatives available to avoid the cycle of predatory lending and debt that made the service illegal in the state in the first place. When you are shopping for credit, look for low APRs and low finance charges. These are not typically advantages you will get with many payday lenders. Of course, these are also advantages you will not have with many lenders. If you find yourself unable to make a payment, it is important to contact your creditor and ask about possibly extending your due date. You may also consider asking your employer for a payday advance, which is not unreasonable in many situations. 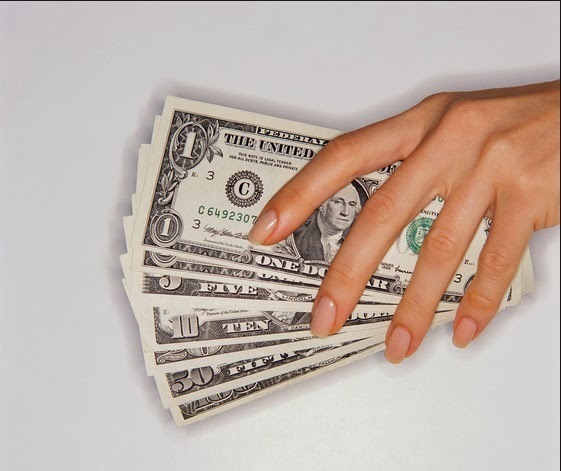 Although it will lower your next paycheck, it is better than paying the excessive fees often affixed to payday loans. You may also consider working a side job or overtime, or seek out local emergency hardship programs through your local Department of Human Resources.